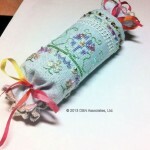 This is my first cracker. 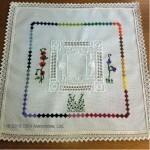 I think it is quite cute and I am looking forward to doing several more. 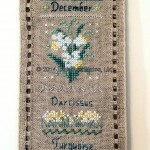 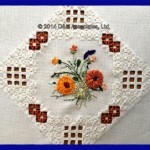 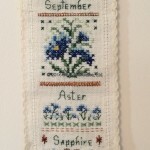 This design came from the Victoria Sampler Blue Carnation cracker pattern. 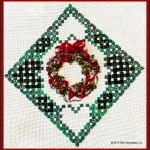 I used the Victoria Sampler’s Christmas Wreath design for the hardanger area of this doily. 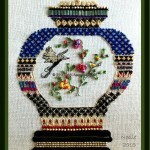 Thread used for the kloster blocks is size 8 Perle. 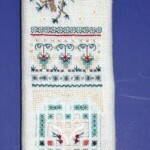 I had wondered what it would look like to combo strong colored floss with white hardanger style design.